Buying gold “on account” means purchasing gold that is held in a depository or similar facility. A gold account, also known as a bullion account or metal account, is a way to own physical gold without having to store it. There are two types of gold accounts. In an allocated account, each investor owns a specified selection of gold bullion. The gold that you own is kept separate from the gold owned by other investors. On the other hand, with an unallocated account, you still own the same amount of gold but it is not differentiated from other investors’ gold held in similar accounts. For example, you may own a 100-ounce gold bar on account, but you do not own any specific gold bar if your gold is unallocated. This is the more common form of owning gold on account. There are important differences between allocated and unallocated gold. With unallocated gold, your gold may be considered a deposit, appearing on the balance sheet of a bank or depository, and you are considered a creditor. With allocated gold, you are the outright owner of a specific portion of physical gold. It cannot be used as a bank’s reserve or given to another investor who wishes to take physical possession of their gold. In the event of a financial crisis in which the bank or depository has the potential for failure, allocated gold accounts are safer than unallocated accounts because of this key difference. One of the advantages of owning gold on account is that you don’t need to store it. Many investors rest easier knowing that their gold is safe in a bank or depository vault, rather than in a safe hidden in their closet. On the other hand, many other investors prefer to take physical possession, knowing that if an emergency arose, they would have their gold in-hand rather than stored in an account that may be many states away. Another major advantage of owning gold on account is that it is easy to quickly buy and sell gold. Unlike when taking physical possession of your gold bullion, most of the transaction is completed on paper, making it possible to buy or sell anytime you desire, from anywhere in the world. 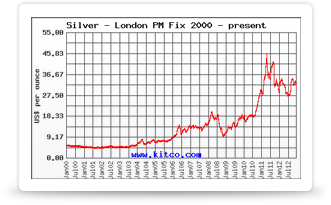 This enables you to act quickly when needed, such as when the spot price of gold is changing dramatically. Gold accounts also present an option for international diversification. A single investor can have multiple gold accounts located around the world. During times of crisis, such a strategy may ensure that at least a portion of the investment remains intact. With both allocated and unallocated gold accounts, it is usually possible to actually take delivery of the gold you own on account. If you are interested in opening a gold account and wish to take possession of your metal at some point in the future, be sure that you understand whether the account allows transfer to physical possession. This method of purchasing gold tends to involve higher fees than when taking physical possession of your gold coins and bullion. These fees are similar to the fees charged by a depository to store gold purchased elsewhere. Fees are generally higher for allocated storage than unallocated gold accounts.